Dreamstyle Remodeling is in the business of transforming homes through kitchen and bath renovations, sun rooms, window and door replacement, and many other indoor and outdoor living improvements. 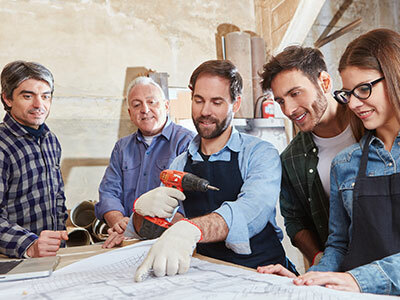 Based in Albuquerque, with a presence throughout the west, our company is known for delivering the highest quality craftsmanship and unmatched service, but our customers aren’t the only ones who enjoy working with us—employees here are treated like family, and we love helping one another to meet personal and organizational goals. We’re proud to be a leading provider of many national brands and various remodeling services, but there’s always room for improvement. Our most successful candidates are team players who strive to exceed expectations and put the customer first at every opportunity. If you’re ready to join a team of service-oriented employees working together toward transparent, measurable results, apply now. We have roles in many markets for dynamic sales professionals ready to help our customers reimagine their dream homes. If you’re interested in learning new skills and and advancing your career with a growing company, check out our canvassing, call center, and labor jobs. Do you have experience as a general contractor, carpenter, or window installer? Bring your home improvement or construction background to the best team around. 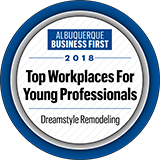 Bring your accounting, marketing, or other professional talents to Dreamstyle Remodeling and work with a team that recognizes and values your contributions. Dreamstyle remodeling is growing, and we're looking for qualified candidates to help us expand our presence in new and existing markets across the Southwest. Coming soon to Lubbock, Texas!